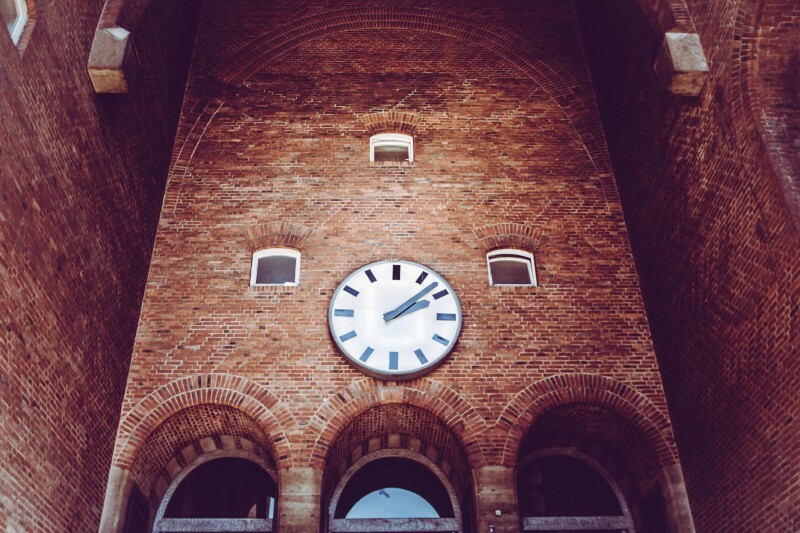 Clocks have been used for thousands of years to keep track of time. And during that period, there have been many changes made to these devices. Long before the clocks we have now came to be, people used devices such as hourglasses to keep track of time. In ancient Egypt, obelisks were used to track the movement of the sun and they divided the day into two twelve-hour periods. After a while, they developed water clocks which were also made use of by the Greeks. There were many time tracking devices employed in the early ages and we will take a look at the different devices and the eras in which they were used. You will get a glimpse of how your wrist watch came to be in the process of reading this. If you go through the books of History, you will find that the earliest mention of this device was made in AD 520 in a Chinese poem which points at the use of this candle at that time. It could have been in use at an earlier point but that cannot be proved. A graduated candle clock was used to tell time at night and was in use in ancient Japan till the tenth century when other devices came to be. Such a candle was made of six candles, each of which was thirty centimeters high and they were of uniform thickness. The candles burnt for four hours and as such the burning of one candle would indicate that twenty minutes had gone by. Each burning candle would leave a mark and they could tell the time by counting the number of marks that had been made. To prevent the flames from getting extinguished, the candles would be placed inside a glass box. During this period, people also used oil-lamp clocks. In this type of device, people would measure the oil reservoir and time could be estimated by checking the rate at which the reservoir had dropped. In the sixth century, incense clocks were used alongside water clocks, mechanical clocks and candle clocks. It is suspected that they originated from India due to the use of Devanagari characters on the clock. The upside to using these clocks as opposed to candle clocks was that they burned much more evenly and without a flame which made them more accurate and safer for use in the indoors. There were various forms of incense candles but the most common forms were incense sticks and incense seals. The first of these devices was constructed in the eleventh century by a Chinese astronomer. In the device, an escapement mechanism was incorporated which also included the earliest recorded power transmitting chain drive which was used to drive the armillary sphere. Muslim astronomers took up research on astronomical clocks and they were able to come up with a wide array of very accurate astronomical clocks which they used in their mosques and their observatories. They came up with water powered astronomical clocks in the thirteenth century and an astrolabic clock in the fourteenth century. They also came up with highly efficient astrolabes which had the ability to serve as both time keeping devices as well as calendars. This device originated from ancient Egypt and it divided the day into twelve equal segments, regardless of the time of year. The hours varied depending on seasons such that they were shorter during the winter and they were longer during the summer. These clocks were later taken up by Muslim astronomers who came up with the idea of using hours of equal length all year long in the fourteenth century. Following the acceptance of the concept of equal length hours, the sundials became popular during the renaissance period. You have probably heard of this device and it is very likely that you have seen it somewhere. Back in the fourteenth century, people relied on an hourglass to keep track of time. Its earliest recording is in a painting that was made in the year 1338. However, it is suspected that its earliest use dates back to the eleventh century. As from the fifteenth century, hourglasses became one of the most popular time tracking devices and they were used at sea, for cooking purposes, in churches and in industries to name but a few places where people made use of these remarkable devices. They were very reliable, quite easy to construct, reusable and quite accurate. These devices also held symbolic meanings such as death and father time. The earliest clock makers are believed to have been the Christian monks who needed to make use of time tracking devices so as to regulate their strict prayer schedules. Before the making of the mechanical clocks, they relied heavily on devices such as candle clocks to keep track of time. The first recorded clock made by the Christian monks dates as back as the year 996. Once the mechanical clocks came into being, they would broadcast the time through the ringing of a bell which would either be rung by hand or by the use of a mechanical device. The early clocks showed hours and the first recorded clock that shows minutes was made in the year 1475. These devices were made in the sixteenth century. Back then, watches were very delicate and as such, they easily got damaged when exposed to elements of the weather. Women got to wear wrist watches while men used pocket watches. After the First World War, the perception of men to wrist watches changes and a whole new market was created for men’s wrist watches. 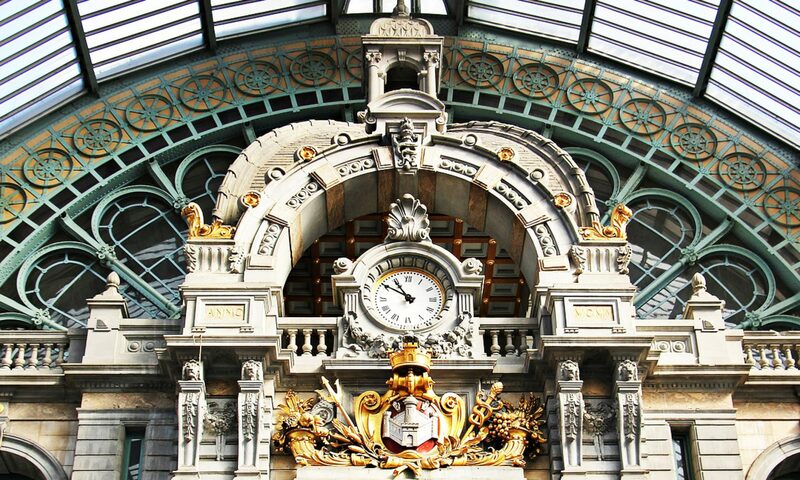 The history of clocks would not be complete if we failed to mention these amazing clocks. In the year 1656, Christian Huygens became the first person to use a pendulum as a driving device in clocks which saw the development of the first grandfather clock which was known as a long case clock. The first cases were made of oak and with time, more beautiful cases were achieved through the use of mahogany. Grandfather clocks were very popular up until cheaper clocks flooded the market in the nineteenth century, bringing their mainstream production to an end. Seeing how far we have come in the development of clocks, it makes you appreciate your watch more, doesn’t it? Coming soon … our blog covering the world of antique clocks.